A blog and The Life In Between : Santorini Archives. 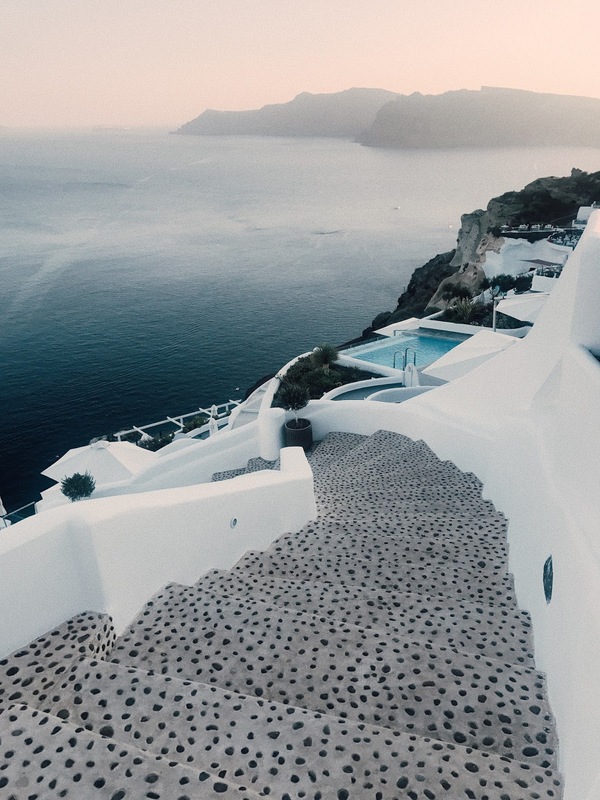 Picture perfect getaway to Santorini. I have just unpacked and am getting my life back on track, or at least trying to. Coming back from vacation never seems to be easy, especially after traveling Europe for two weeks and literally living out of a suitcase with no plans for the day ahead. 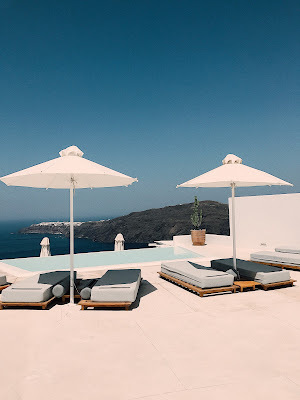 But, before I get into a full recap of our trip which included Greece, Montenegro, Croatia and Bosnia I wanted to share a full post on Santorini as this paradise deserves lots of love. 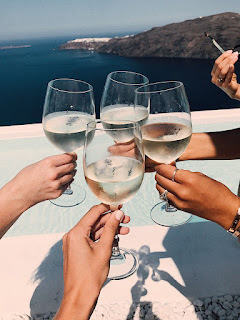 This was our second time in Santorini, first one being a visit to see the wedding venue and meet the wedding planner etc. and this time being for our wedding! Yessss. W E D D I N G ! 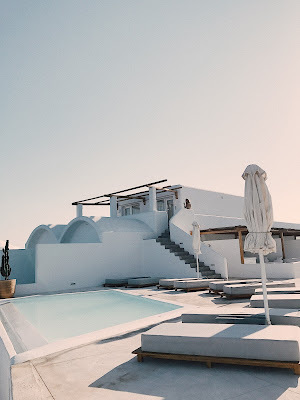 If you have not gotten a chance to read my first post which includes travel tips for Santorini, visit it on HERE and HERE. First time we were tourists vs. this time around we knew our way around the island and some tips and tricks I wanted to share with you today! Getting there. If you're trying to book a flight straight to Santorini, most likely some crazy number will pop up right in front of your eyes. 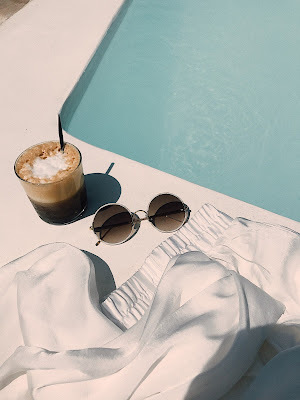 The trick is for you to book it to Athens, which is one of the main airports of the islands and from there get a flight with local airlines to Santorini. Yes, the word "local" must be underlined as that's an extremely important detail that will determine your trip, literally. 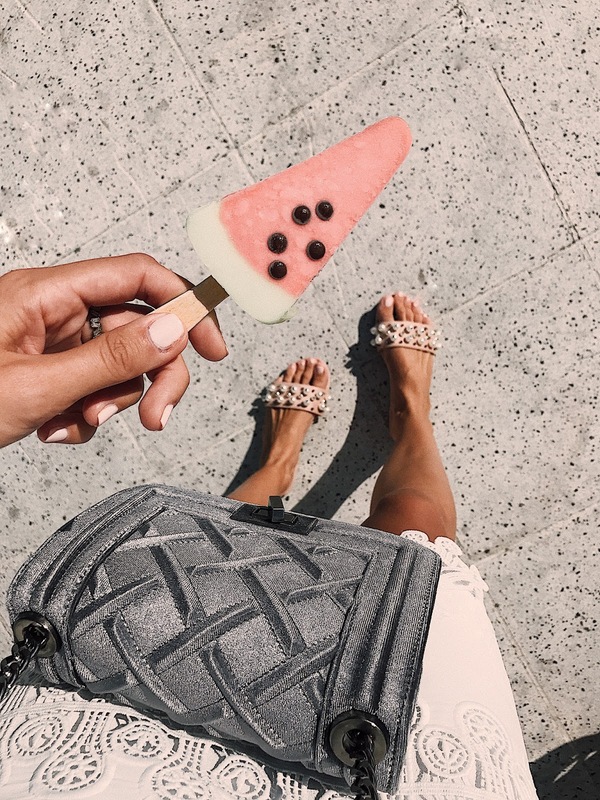 Almost 99% of the local airlines only allow one small bag to carry with you, which could be a handbag or a small backpack. If you have carryon or any other luggage with you, you will have to check it in and pay for it. Unfortunately, if you do not pre-pay for it the price doubles at the airport and triples if you still haven't paid for it by the time you're at the gate. Most of the airlines also require you to print your boarding pass, so as you book your flight make sure to read up because you'll get hit with all sorts of fees if you don't pay attention. 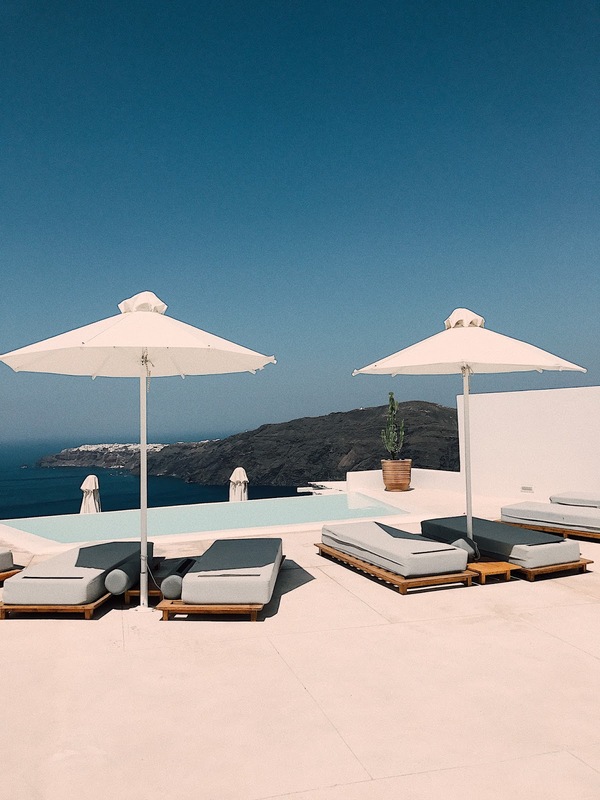 This rule goes to not only Santorini but all the countries you may be traveling to, as all the airlines outside of US are different. Luggage. Something we never talk about that should be brought up more often as each country and airlines have many different laws etc. on what you can bring and how much of it. It's no secret I only travel with a carry-on and a large handbag but sometimes we gotta bring more luggage with us and we cannot avoid it. If you absolutely must check in your bag, make sure to ask the airlines representatives to add a "priority" sticker on your bag - 60% chance they'll do it, while the other 40% goes to you risking your bag. Our flight to Santorini had a stop in Munich, Germany where ALL of my favors for the wedding guests got taken away. If you're bringing any liquids, electronics etc. make sure to look into the laws as the last thing you want to happen is have your belongings taken away. I have been traveling for years and to countries all over the world and unfortunately this specific trip was very unfortunate when it came to my bags (due to me bringing more than just my carry-on). Transport. Renting a car is always a plus as it's a great way to explore the different parts of the island and be your own tour guide. Sometimes grabbing a map, snacks and getting on a road with no destination is the best way to explore a new place. Santorini island has many little mountains throughout so if you're not a pro at driving a stick car make sure to request an automatic one. Waze app works most of the time as long as you add your destination while you still have wifi. Once wifi is gone, waze still works but at that time you can no longer change the destination or play around with your phone - but, this is where your little map can come in handy! Accomodations. You get what you pay for, literally. In US you can usually get a nice hotel if it has 3+ stars, when it comes to Europe you need to make sure it's 4+ and even better if it's 5 as it's more up to US standards. Must-bring items. Besides all the obvious items like camera, converters etc. there is quite a few items you must absolutely bring with you. First being on top of the list is the mosquito spray! Not sure where those little guys fly from but they can sure sneak into your room and bite you while you're sleeping.. waking up with multiple bites all over the body was in no way fun! So make sure you pack something to avoid it. Second item that is my must-have when traveling is my travel size steamer - I could honestly say it's the best thing ever created. It's extremely convenient, light to bring with you and comes in handy when you're just trying to get dressed and leave.